Crystal Cove, get it? Gem of a state park? Thanks folks I’m here all week. The campground is Moro Campground in Crystal Cove State Park near Laguna, California. It sits high above beach level, which is just across highway 1, and sports spectacular ocean views. It’s very hard to book a spot here as it is a very popular campground. There are sites with water and electric (no sewer) and there are sites without any hookups at all. There is a dump station. you have to take 3 kinds of photographs when you camp near a beach: Sunsets, sea birds and someone surfing. Our compliance with this law follows. Now that that’s over, we stayed in campsite #9, which has water and electric hookups. It’s on the upper loop of the campground bluff. For a beach campground, there is quite a bit of space between campsites. The restrooms are clean and there are showers available, but we didn’t use them. There wasn’t a lot of noise at night, but I’m betting it gets louder during the summer months when school is out and families vacation. Most beach campgrounds do. Oh yes, no open fires or campfires (wood or charcoal). You can use a gas barbecue or a gas cookstove, but that’s it, due to high fire danger! For a state campground, it’s a little pricey. I believe we paid $75, but we feel we got our money’s worth and have reservations sometime in the fall, 2016. There is a great lookout area at the bottom of the campground on the bluffs overlooking the ocean. The views are spectacular, especially at sunrise and sunset. You can walk to the beach down a fairly steep hill, or drive to the beach. Moro campers get free admission to the beaches in Crystal Cove State Park, just so you know in case you drive to the beach. Here is a picture of the hill to the beach. It doesn’t look steep in the picture but it is. For the adventurous, the park also has backcountry hike-in camping. These campsites, 32 of them, are a 3 to 4 mile hike inland and require a permit. There is no water but there are picnic tables and pit toilets. The backcountry area is used a lot by hikers, mountain bikers, and equestrians who follow hillside and canyon trails. We will most likely do some hiking on these trails during our next stay in the fall. The beach is great! People can fish, surf, bird watch, check out tide pools or lay on the sand and cook. The tide pools are very nice, though a little rocky, so watch your step. The Crystal Cove Historic District is a federally listed Historic District made up of 46 old coastal cottages originally built as a seaside colony in the 1930’s and 40’s. It is supposed to be one of the last remaining examples of early 20th century Southern California coastal development. Cottages can be rented for overnight stays. Rentals include studios, one and two bedroom houses, and hostel style dormitories. They are right on the beach, so I imagine they aren’t exactly cheap. There is a cafe, the Beachcomber Café. It’s a restored beachfront cottage with ocean views. They offer breakfast, lunch, and dinner. We didn’t eat there but we could see it was busy. We did get some killer malts at a little fast food joint, Crystal Cove Shake Shack. Of course there are the arts and craft shops selling souvenirs. The historic district is cute and worth a visit. You can walk to it, about 1 mile, down the beach from Moro campground. For whatever reason, we didn’t take any pictures even though we had our cameras. Go figure. We really enjoyed our stay in Moro Campground at Crystal Cove State Park. The views are magnificent, the beach is wonderful and the historic district is interesting. 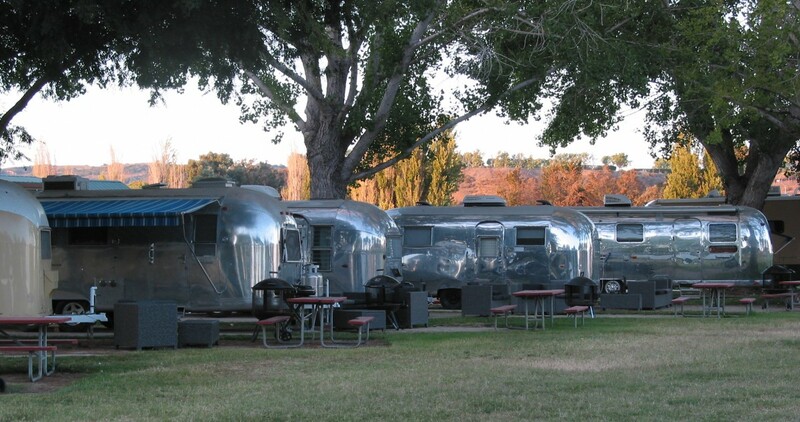 If you have stayed at this campground, let us know how you liked it.